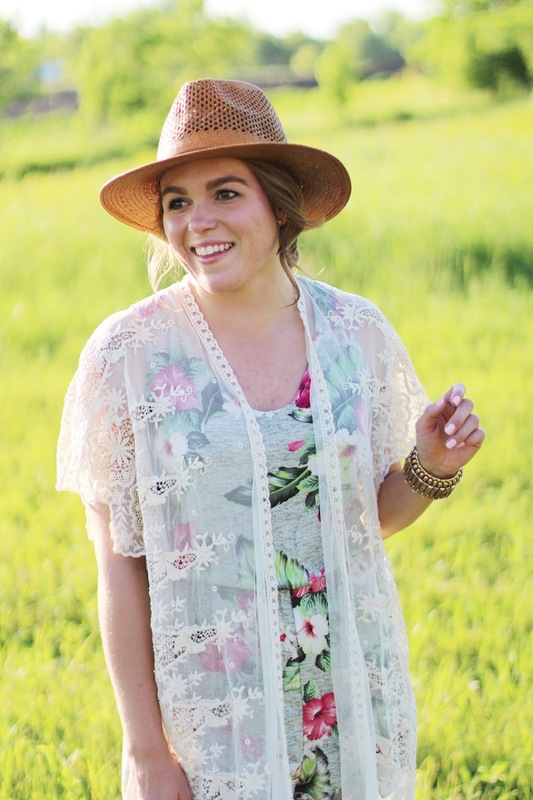 Romper, another fun option // Kimono (see this post for more options) // Hat // Sandals // Bracelet // Essie's "Fiji"
I have had a strong love affair for lace kimonos and floral prints lately (see this post and this one). 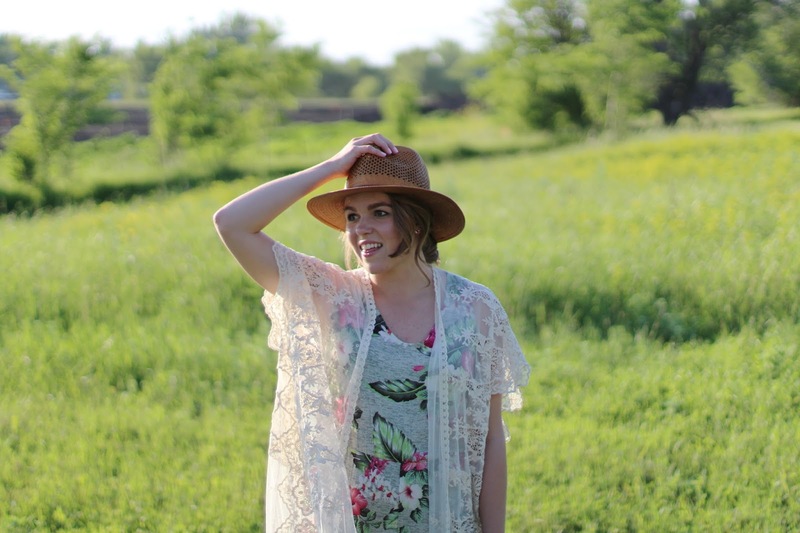 This floral romper totally reminds me of Hawaii and it had me way excited for summer. 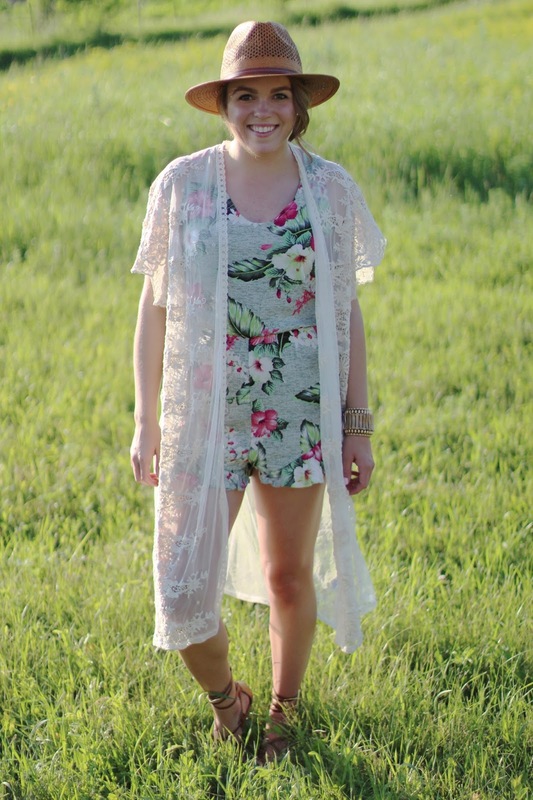 Just as well, the romper is very comfortable…the fabric is definitely forgiving. 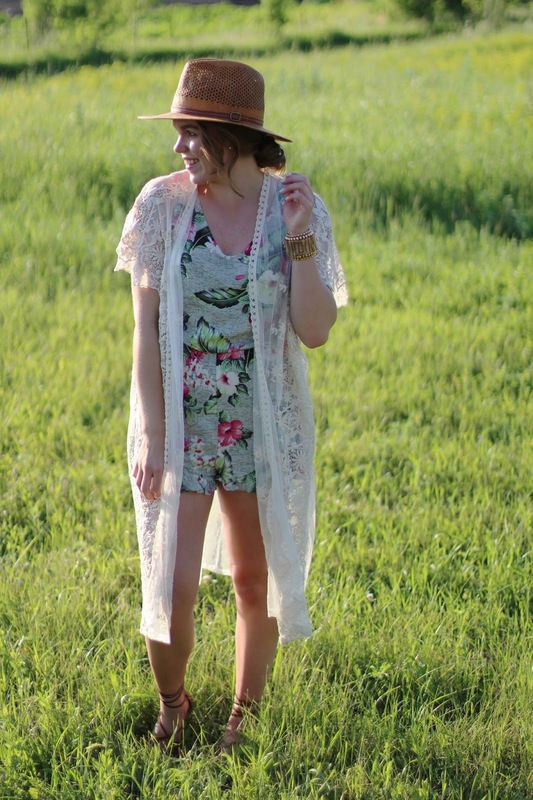 Pairing the two was a no brainer as I thought the lace romper paired well with the floral print. 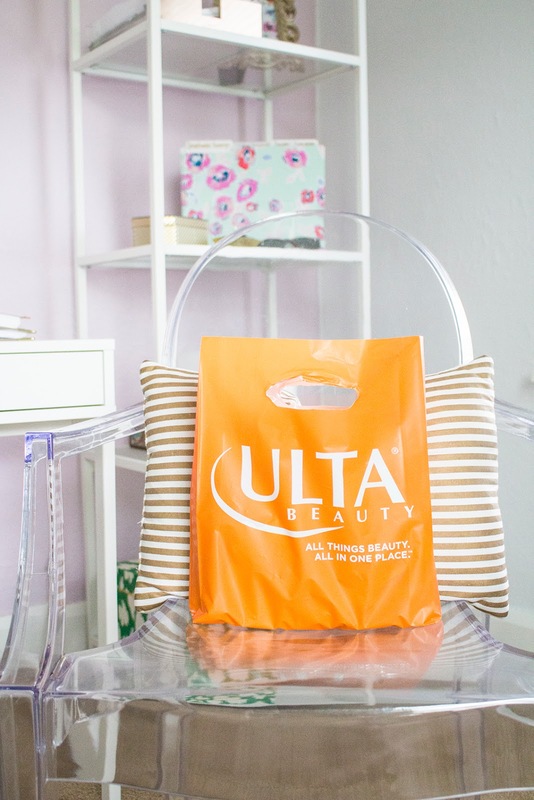 It's a fun and super easy combo you can wear all summer. Can we talk about this hat for a second too? 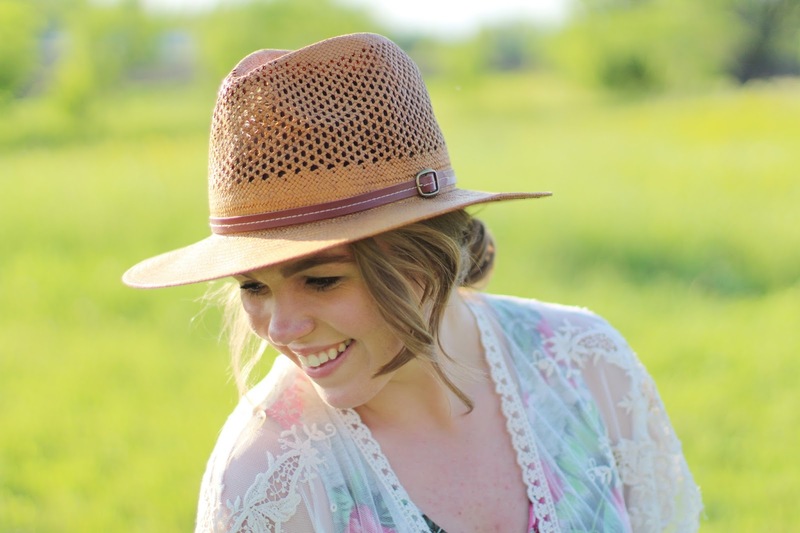 I love hats, I think I can pull them off but then realize I can not. However, I fell in love with this one! It kind of has that cowboy/plantation/chic feel to it that I was totally into. 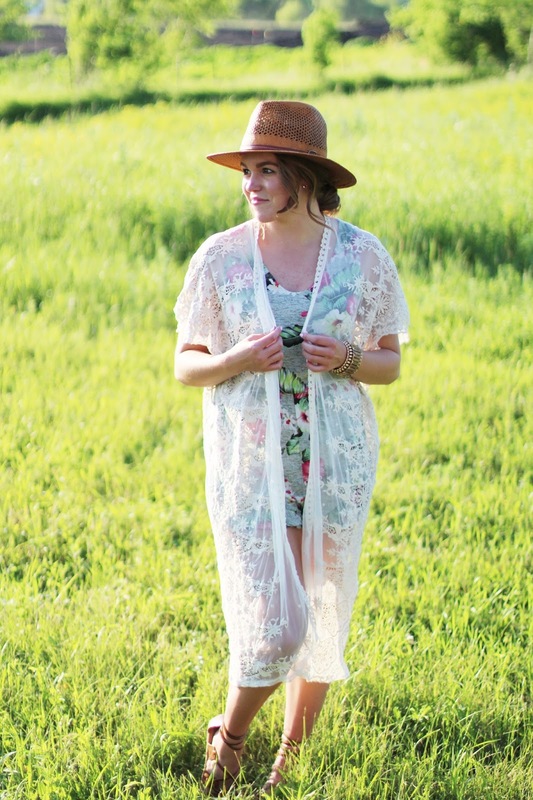 My photographer said I looked like I worked on a plantation…hey, as long as you look cute doing it, right? 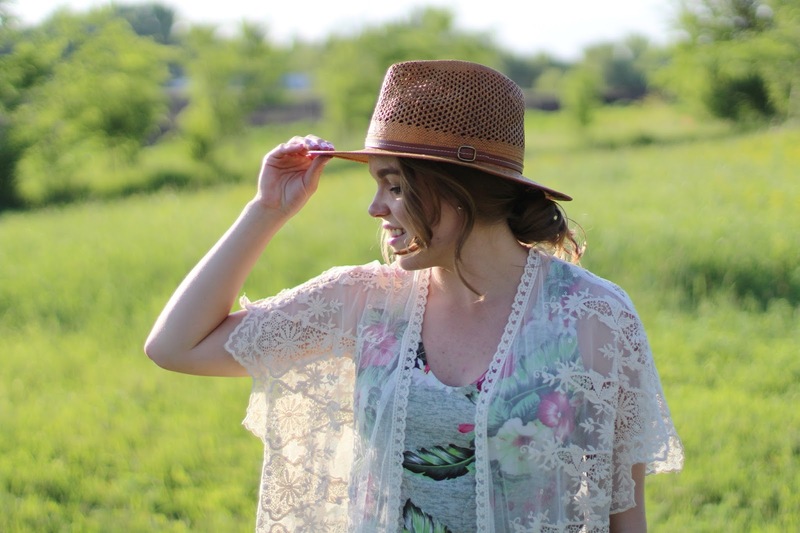 Have you worn any summer hats lately? Leave links below so I can see!